All adoption applications are reviewed by an adoption committee in order to determine the best placement for each dog or cat. The work done by volunteers on behalf of the animals at the shelter is invaluable. Through shelter cleaning, dog walking, dog and cat socialization, fundraising, facilitating adoptions and various other activities, they make a profound difference in the lives of the animals while they're in our care awaiting their forever homes. 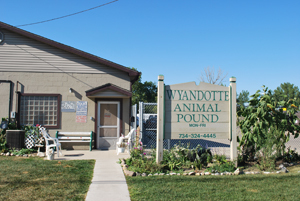 A private, non-profit 501(c)3 animal welfare organization funded by donations. Please consider donating so that we can continue to provide veterinary care for the sick and injured.